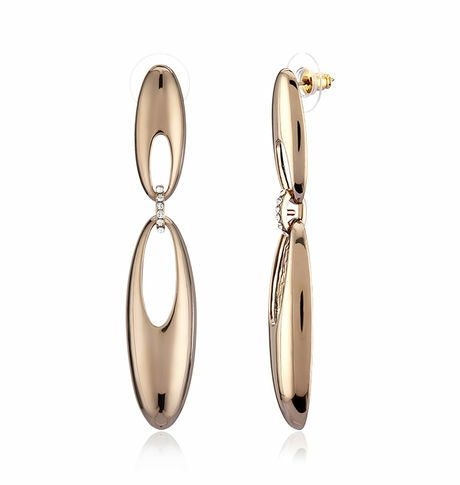 Bedazzle yourselves in these glistening loop drop earrings and stand out from the crowd like a princess. Trendy and chic, these earrings are interlinked in loops and attached with a small loop encrusted with zircon stones to create a glamorous impact on your style. Bedazzle yourselves in these glistening loop drop earrings and stand out from the crowd like a princess. Trendy and chic, these earrings are interlinked in loops and attached with a small loop encrusted with zircon stones to create a glamorous impact on your style.Cancellation and Return Policy: • Exchange allowed post booking • No order cancellation or Refund transaction allowed at the store.